To get more visibility, recognition, leads, & return, your email campaign must be effective. 40% of marketers rated the leads generated by email marketing as high quality. Would you like to know how to build a great email marketing campaign without making the mistakes? Here, we’ll discuss some epic email marketing practices. No subscribers, no campaign. 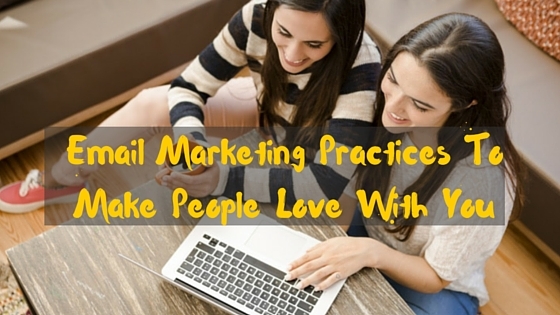 Getting subscribers & build email list is the most important concern for marketers. Your email list is one of your most valuable resources. So, first we need to focus on getting subscribers. Here are some ways to get more subscribers. There are some casual visitors who visit your blog, you can turn these visitors into subscribers by put a smart CTA (call to action) button on your blog like “Like our blog? Click here to subscribe”. On-site Surveys can be very helpful to get updated contact details of existing & regular customers. Give a description about your survey, so they could engage with your survey. Pop-up forms or Sign-up forms on your relevant pages. Place email newsletter sign-up forms like “enter your email for newsletter or updates” on every relevant page on your website. Don’t just say “Subscribe Here”, Describe them why they should subscribe. Make sign up forms easy. Lead capturing form on landing page to collect more contact information such as name, company name, job title, email id, phone number, website URL etc. and provide some educational information like ebook, guides, product demo, video etc. You’ve got subscribers, now its time to segment your subscribers list. 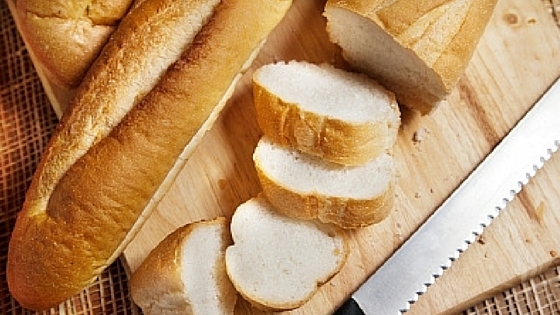 Segmentation is a powerful practice for increasing the effectiveness of an email campaign. Segmentation is most important to send right message to right people. Segmentation gives a better idea about your subscribers & their needs which will make your campaign effective. Segmentation helps to reduce the number of unsubscribes & complaints, and generate higher open rates, click- through rates and conversion rate from email. Use subscriber data that you collect during opt-in process. You can segment customers & subscribers as per their age, location, interests, demographic area, industries etc. Segment subscribers according to their behavior such as how many times they have purchased or used any service, and their last visit, length of time they spent on site, which type of offer they download etc. Keep the width of email template under 600 pixels for desktop design to ensure subscribers won’t have to scroll. Create a consistent experience, look & feel for your email and the landing page or website. Place the most important information first because most of people have very less time to read your full message. Keep it short & simple. If you have more information to convey, just give link to a page on your website where subscribers can learn more. Use bullet points & heading, so that subscribers can easily understand your information. Make sure your email looks good with images & without images. Email must be mobile responsive. Provide a clickable preheader which summarize your message. Subject line is one of the most important elements of an successful email marketing campaign. Subject line is the first part of email which recipients will view in their mail box. The subject line tells what you offer in your email newsletter. Audience will judge an email by its subject line. Studies shows, approx 64% of people open an email because of subject line. Here are some tips for subject line which can make your campaign effective & successful. Subject line should be eye-catchy & promising to get recipient’s attention. It has to make sense. You must keep it within 50 characters. Make it memorable & actionable. Never use recipients name & promotional words like “free”, “urgent”, “order now” “deal” or “discount” in your subject line. Don’t place your company name in subject, put this in “from address”. Don’t use punctuation, funky words, repetition & CAPITAL letters (only capitalize first letter of word). An email is a way to communicate with your customers. You must deliver useful, informative & relevant content according your target audiences. Your content must keep “trust & context”. Customers engage easily with relevant, interesting & personalized content. You must offer right content to right people. Content of email newsletter should be concise & clear because readers have less time to view your message. Don’t use sales pitch, Do use valuable. Subscribers only purchase a product from you when they find it valuable for them. So, always offer a content which can solve subscribers problems or queries. Your message must contain text & images in proper manner, don’t use a lot of images ( 80% text & 20% images). Use Alt tag for your image which describes it. Your message must include an opt-out option or unsubscribe link and it should be one click process. Make it easy to find. Don’t follow “batch & blast” method for your email campaign. It can lead to high unsubscribe rate because subscribers may not be engage with your message. Put yourself in the role of subscriber. To make your campaign successful, there is only one weapon- “Valuable Content & Opt-in Database”. You must add an action oriented & relevant call-to-action (CTA) button in your email newsletter. Using of big, colorful CTA button can help you to get conversions. Linking CTA to relevant landing pages. So, subscribers know what they’ll get when to click the button. It is a way to invite subscribers to take an action which avoid spamming. Proper color decision for buttons and place them either at start or end of email message. Make sure calls-to-action are immediately noticeable when a user quickly looks your content. It must be visible, even with images turned off. We can’t avoid social media platform; we have to use power of social media & using them in right way will increase your reach & your brand loyalty. Social media buttons like Facebook, Linkedin, Twitter, and Google+ must be placed in your email newsletter. You should make your campaign sharable on social media channels. So, your customers can forward it to friends or colleagues and share it on social media. Only reliable way to get the promotion through sharing, with a bigger and bigger population. Give subscribers a reason to share your content by providing valuable & helpful information in email campaign. Studies shows that, email which include social media buttons have 158% higher CTR. Maintain your email list regularly. Clean your list & remove hard bounce contacts. Use double opt-in process to add a subscriber into your email list (click the confirmation link after initial opt-in). 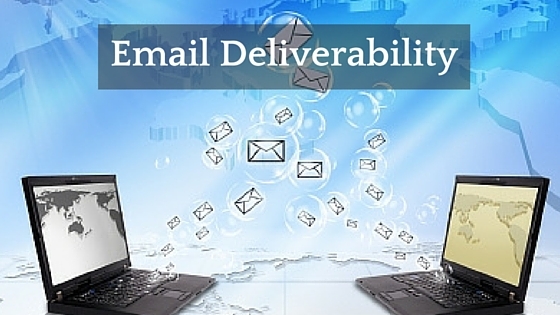 With double opt-in, deliverability rate will be high & unsubscribe rate will be low. It is a way to build a strong email list. Make it a habit to update your contact list every 6 months. Contact list older than 6 month is considered stale and of little use. Welcome messages to new signups & increase engagement with subscribers. It build long way relationship. Don’t use batch & blast method to avoid low email delivery. Perform bulk mailing with small chunks of contacts instead of shooting on a list of millions of email ids. Purge the emails that has not been used for long time. Don’t use attachments in your email, include links. Email message must contain an unsubscribe link. To achieve good results from email marketing campaign, campaign evaluation is required. Here are some elements to test & evaluate an email marketing campaign. Ensure that the content, images & media looks good. A/B testing is good practice for better conversion. Campaign should be mobile friendly & display clearly on different devices. Don’t let the reader scroll to view the full mail. Try to keep it brief. Preview testing is necessary for good email deliverability. After sending email campaign, its time to track your campaign. To track your results, there are some important factors such as opens, clicks, bounce rate, Click-through-rate (CTR), unsubscribers, deliverability rate & conversions etc. Use these details to understand prospect interaction, improve next campaigns & improve ROI. Finally, remember the basics of creating a great campaign: engaging subject line, concise, relevant images, valuable content, integrated social links, and provide call-to-actions for readers. Implement these tactics and you will make people fall in love with you! Hi my name is Teresa and I just wanted to drop you a quick note here instead of calling you. I came to your 10 Epic Email Marketing Practices To Make People Love With You | Sarv Blog page and noticed you could have a lot more hits. I have found that the key to running a popular website is making sure the visitors you are getting are interested in your subject matter.